GRAFENWOEHR, Germany — USAG Bavaria is offering several Food Handler courses from now through August 2 to allow anyone handling food at the upcoming Grafenwoehr German-American Volksfest the opportunity to obtain an active food handler certificate before the festivities begin. Department of Defense’s food safety regulations require personnel involved in the preparation, storage and general handling of food at public facilities to be food handler certified. The regulation applies to all off-post food providers, FRGs, civilians, contractors and volunteers — including minors — who intend to serve food at the upcoming Volksfest. The regulations, which establish military safety standards, procedures and roles in public food service, are designed to minimize the risks associated with foodborne illness and ensure all food served is the highest quality possible. 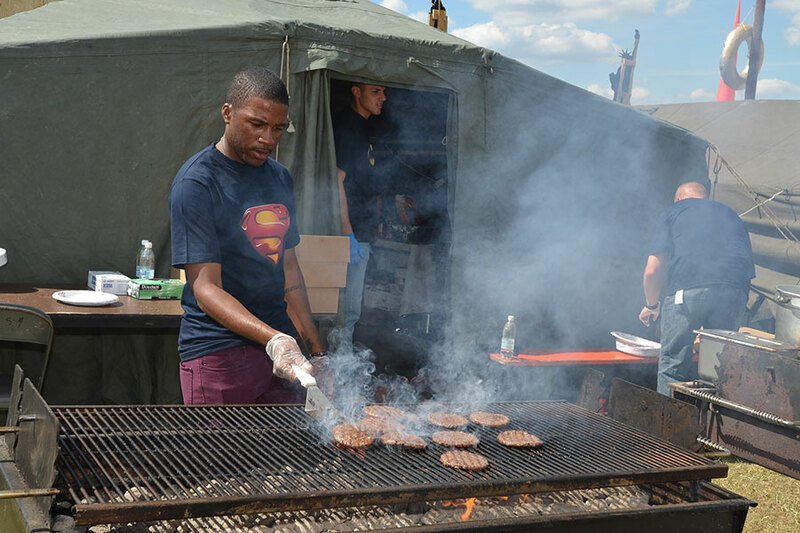 Bavaria Medical Command’s Preventative Medicine routinely offers food handling courses, but they are expanding the schedule in response to increased demand in the weeks leading up to Volksfest. Aspiring food handlers can now opt for a morning or evening class on either Tower or Rose Barracks. A class is also offered Wednesday, August 2 at 6 p.m. — just two days before the festival kick-off — for volunteers that sign up last minute. Students should expect a basic overview of food handling topics, such as proper holding temperatures, adequate cooking, contaminated equipment, unsafe food sources, personal hygiene and food borne illnesses. The one-hour course is free and open to the entire community. Students who successfully complete the course receive the Food Handling Course Certification, which must be renewed annually, Bullock said. Food handlers must have these certificates with them at all times during the Volksfest. For more, or to register, call Preventative Medicine at DSN 476-3247, CIV 09662-83-3247 or stop by their office at Bldg. 222 (also the Vet Clinic) on Rose Barracks.